East Brunswick police and fire fighters responded to an overturned SUV on the overpass of the New Jersey Turnpike along Hardenburg Lane in East Brunswick on Thursday Jan. 28, 2010. 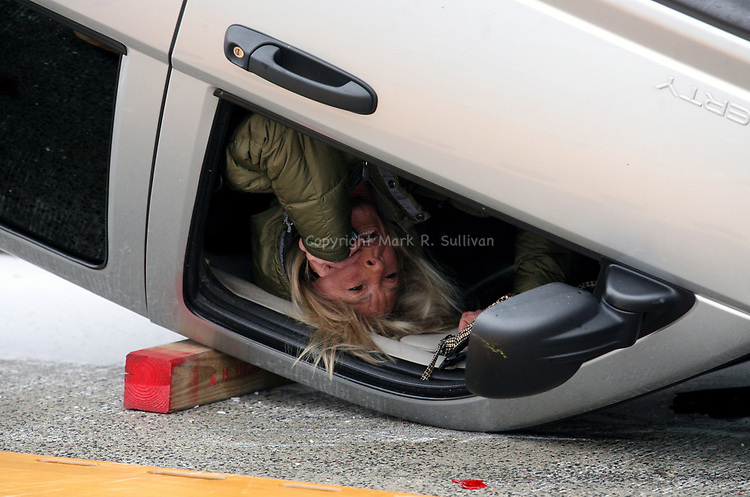 Here a women hangs upside down inside the overturned vehicle while talking on a cell phone as she awaits rescue from the vehicle. Icy roads caused a number of car crashes in the Central New Jersey area.